I have attended every U.S. Tennis Open since the early 80’s when my brother and I both were ball boys. The 2 week tournament has gone through a lot of changes over the years. 1. Arthur Ashe won the first US Open as an amateur and the main stadium at the Billie Jean King USTA Tennis center is named after him. Virginia Wade won the women’s title. 2. Men and women receive an equal amount of prize money, a tradition started in 1973. This designated tennis as the first sport to award equal prize money to men and women. 3. The total payout for this year’s tournament is up 10% to $46.3 million. First place pays $3.5 million. A first round singles loss pays $43,000. The $46.3 million is the highest payout of any tennis tournament. 4. 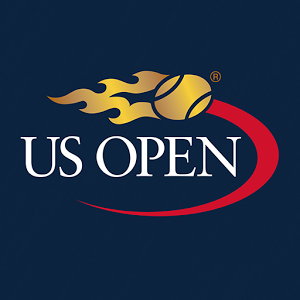 In 1975 the US Open became the first grand slam tourney to have night games. 5. Since 1978 matches have been played on a hard-court surface covered with Deco turf II. 6. In the other grand slam tournaments (Wimbledon, the Australian and French Open’s) there’s no tiebreakers. They just keep playing until one player wins by 2 games. 7. Venus and Serena Williams became the first sisters to meet in a grand slam final at the US Open in 2001. 8. Arthur Ashe stadium is the largest “tennis specific” stadium in the world. It seats 23,771 people. 9. The new roof at this year’s open is made up of two 1 million pound plates that were installed at a cost of $100 million. It takes 5.5 minutes to close. So why don’t we see you when come to Delray?